Compared to 20 years ago, essentially anything can be bought online. Gone are the days of furiously rummaging through avalanche-style piles of items trying to find that ONE THING YOU NEED SO YOU CAN FINALLY GO HOME AND SIT DOWN. Nowadays, shoppers prefer to stay in and peel through the pages of Google specified by their unique product searches. Have something particular in mind that will totally complete the gallery wall above your couch? Google it. Want a specific accessory to a gadget of yours you can’t find anywhere in stores? Look it up online. In desperate need of a unique shirt for that dinner party on Friday? Type in what you’re looking for and suddenly you’re greeted with a somewhat more organized approach to your typical Target run. Despite the convenience of online shopping, it’s easy to get lost in the endless combinations and opportunities modern eCommerce has to offer. So what happens if you want to sell your own products online but aren’t a major retailer? Where do you begin? There are dozens of sites that boast the “ideal” way to sell your products online. In this article we’ll go over three top options for three different types of eCommerce. Grandma recently asked you to help her clean out her attic, and guess what…You struck gold. Tangled up amidst cobwebs and old newspaper clippings, Grandma’s attic became a museum of infinite antiques and vintage items. With her permission you are now the proud owner (and future seller) of vintage comic books, action figures (still in their original packaging), WWII posters, and more old-fashioned goodies. Where do you begin? eBay: the champion of antique and vintage ecommerce. eBay is the place to be if you’re looking to buy or sell vintage and/or antique trinkets. Collectors, hobbyists, and antique buyers alike flock to eBay to find the most unique pieces and relics salvaged from garages, basements, and attics just like Grandma’s. eBay is the most trusted, and stripped down, version of personal eCommerce the internet has to offer. A lot of that has to do with it being one of the first to gain traction in the mid-90s and continuing to maintain its “no frills” interface for online selling. eBay boasts 162 million active buyers, 800 million live listings, and 304 million app downloads worldwide, according to their company information page. As you’ll find with all eCommerce sites, the key to selling the most items comes first from the quality of item you have, but beyond that really comes from the item description. A detailed, in depth write-up about the product you’re trying to sell, shipping information, and any other valuable information you feel a customer would be looking for, is vital to growing and maintaining a loyal customer base online. eBay also sets itself apart from other eCommerce sites within the amateur nature of it all. Consumers are aware that buying something from eBay typically means they’re buying from someone like Mr. Smith down the street. 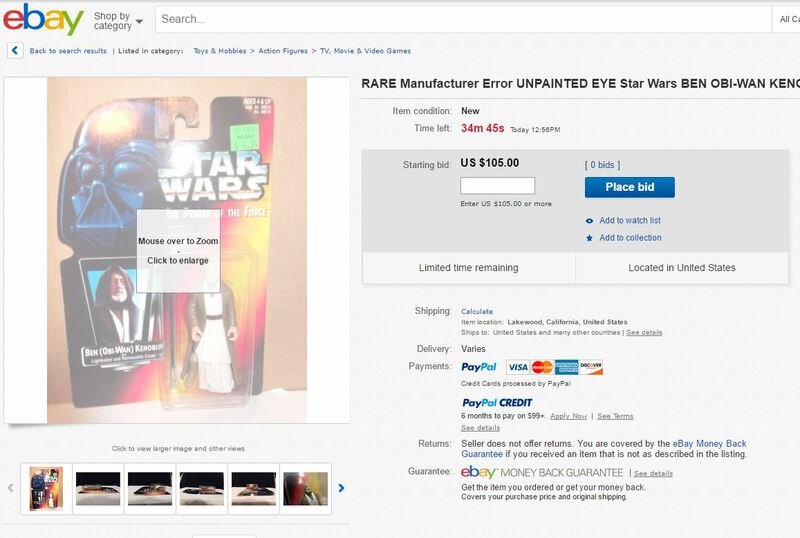 Keeping that in mind, the accessibility and quirkiness of eBay makes it perfect for someone looking to sell items like what you found in Grandma’s attic. There is no expectation that images are going to be particularly good (or even the item, for that matter), however, sellers should expect to include a detailed description of the product to supplement for the sub-par imagery. You don’t have to be a photographer, but customers will expect you to be an expert on what you’re selling. 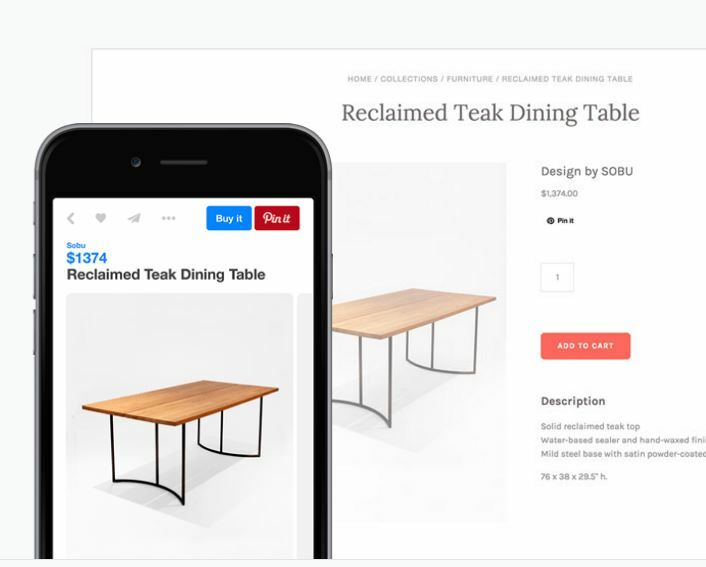 eBay tokened the marketplace infrastructure to online selling. This is both a positive and a negative. In one way, the marketplace arrangement can bring in customers who never would have considered your product(s) to begin with. But on the other hand, it can also mean losing potential sales because of product saturation. Items listed from thousands of different sellers could lead someone away from your item to another offer. It’s highly competitive nature can be a turn-off to many sellers looking to sell more generic items. But again: if you have something incredibly unique, antique, vintage, or unlike anything else anyone has ever seen, then eBay is for you. Think: neighborhood garage sale meets the internet. In terms of pricing, eBay can get a little complicated. Their fees are broken up into four different categories. Insertion (listing) fee, final value fee, advanced listing fees, and supplemental service fees. Your first 50 listings on eBay are free, any additional listings are $0.30 each per month. When you sell an item eBay takes 10% in fees of the total amount in sale, with the maximum fee being $750 from a sale. Additionally, eBay has advanced listing upgrades that include large listing placements and other options that can help you enhance the appearance of your listings (and hopefully sell more!). Supplemental fees are vaguely described on eBay’s fees resource page, however can include refunds, certain printed shipping labels, and other various charges. Visit the eBay fees page for more information regarding listings, fees, and pricing. Alternatively, let’s say that while rummaging through Grandma’s attic you come across several embroidery hoops, thread, and fabric. You decide that, using the skills Grandma taught you, you’re going to start creating modernized versions of the embroidery hoops we all recognize from back-in-the-day. Check it out: Mountains of Thread (yes, believe it or not, embroidery is making a huge comeback). eBay is not the place for handmade, personalized items like these. What you’re looking for is Etsy. Similar to eBay, Etsy uses a likeminded approach to marketplace eCommerce. Etsy is a meeting ground for crafters, artists, and builders alike to create a one-stop-shop for all of your gifting/decorating/furnishing needs. 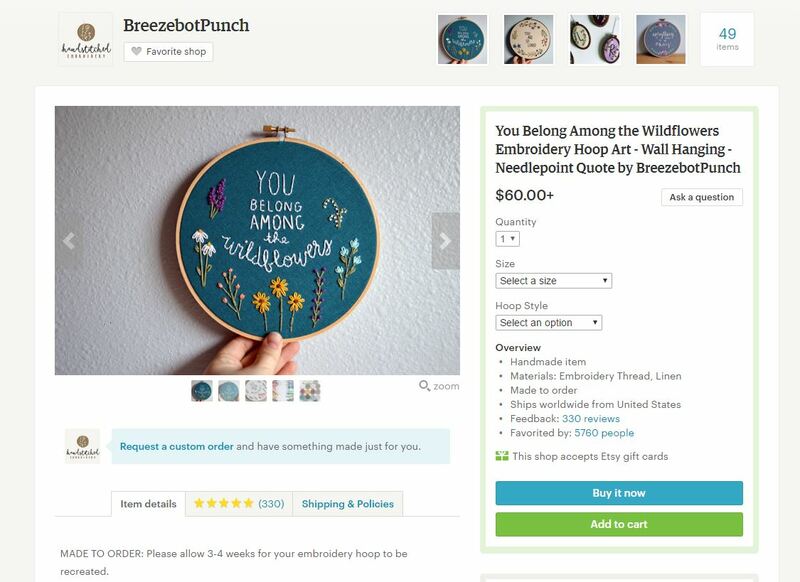 Shoppers who buy from Etsy are looking for unique items that are handcrafted, customizable, and direct from the artist themselves. Etsy offers several options to customize your shop page with header photos, logos, and other images for branding purposes. Additionally, Etsy offers stats and minute-by-minute updates regarding the activity in your store and an app specifically designed to cater to those who sell products on the site. Again, Etsy maintains similar pros and cons to eBay when it comes to the marketplace design. Sellers will find themselves in a very competitive community. It can become a full-time job for those who want to remain relevant on the site. Etsy offers the option for sellers and shoppers to pay straight through the Etsy site or via PayPal, but transaction fees through Etsy are 3.5% of your sale regardless of the payment option used. Additionally, rather than having a flat monthly fee for all Etsy listings, items can expire and the seller has to re-list them once they do. Etsy listings are $0.20 for each item listed and have a lifespan of 4 months. While it isn’t expensive to relist items, it can often be frustrating to those who struggle with the competitiveness of Etsy. To combat this, Etsy now offers an automatic renewal option. While it is more convenient, it still doesn’t erase the peskiness of recurring fees. Unlike eBay, high quality, attractive photos matter on Etsy (a lot!). Etsy is a place where artists and designers come together; the shops that look better tend to do better. While shoppers buying on Etsy are aware that the items they’re purchasing come directly from someone, it is very different from eBay in the sense that there is a much greater expectation for an attractive appearance. Etsy also offers a wholesale site accessible for buyers from stores looking to add handmade, unique items to their brick and mortar establishments. Note that the wholesale option isn’t available to all Etsy users, and involves an application for those looking to buy or sell. It provides a very beneficial feature for users who use Etsy as a means of supporting themselves, not just for selling their creations on the side. Lastly, if you choose to sell your stuff on Etsy be prepared to attach your own personal brand to it. That includes Instagram, Facebook, a blog, and other social media networks that could benefit the branding side of your shop. Consumers are more likely to buy from you if they can find additional information about you and your product. It not only adds a supplementary level of personalization, but it also creates recurring customers who buy for you rather than just from you. Grandma’s attic set aside, let’s say you’ve created your own line of bath and body products. Etsy doesn’t seem like the place for you because of the crafty atmosphere, and eBay is too stripped down and lacks personalization. You have a brand image already established or in the works and need an option to market and sell your product without the saturation from a marketplace setup. Shopify is a retail based entrepreneur’s solution to creating and maintaining a personalized eCommerce site. It offers beautifully designed templates, POS options, shop insights, and more all for a flat monthly rate. Unlike Etsy and eBay, Shopify allows users to purchase their own domain while still using Shopify features for their eCommerce site. What started as a way to sell snowboarding accessories has blossomed into a destination for entrepreneurs, designers, and artists for eCommerce, boasting 243,000 active Shopify stores and grossing $14 Billion total in online sales. You may not realize it, but some of your favorite websites to shop on could be hosted and created on Shopify. Their layouts are stunning, easy to design, maintain, and offer a personalized and gorgeous alternative to marketplace style eCommerce sites. Shopify recently teamed with the social networking site Pinterest to provide a new approach to online shopping. Now, instead of clicking on a link that leads the Pinterest user to an outside site, Shopify and Pinterest have worked together to create a seamless integration between certain Shopify items and boards on Pinterest. Users can now purchase items directly from a Pin. The feature can be done with other eCommerce options, however Pinterest and Shopify have been working hard to collaborate and develop the best system possible for Pinterest selling. You can import and sync your entire inventory to Pinterest and offer Apple Pay as well as Shopify Payments as an option for customers to purchase your items. Beyond that, Shopify also offers selling options on Facebook and Twitter. In the same fashion, store owners are able to list items and allow for consumers to purchase their items without ever having to leave the apps. This not only allows for the obvious perk of accessing more customers, but also ties in the need for a brand to have a strong online presence. Again, these options are completely integrated into the apps, which is something we don’t currently see from most eCommerce sites. 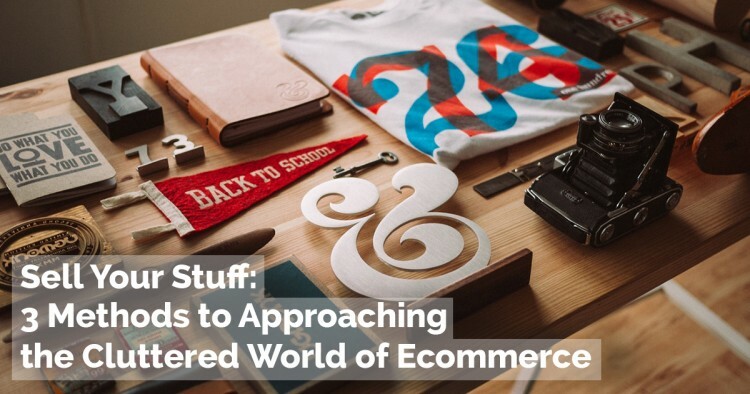 It’s an exciting new addition to online shopping, and Shopify is at the cutting edge. Shopify has four different pricing plans, all running on a monthly basis. The smallest package, at $9 a month, does not include a Shopify online store, but it’s not necessary! This version allows for a blogger or someone with a current website to sell products without the need to host any products on a personal Shopify eCommerce site. You can list unlimited items, track sales and growth, accept foreign payments, and more. This plan, as well as the others, also provides a POS system easily integrated with tablets for selling your products anywhere at any time. Plans increase in cost from there adding multiple features as the cost increases. There is no cost to list, only a flat monthly rate. 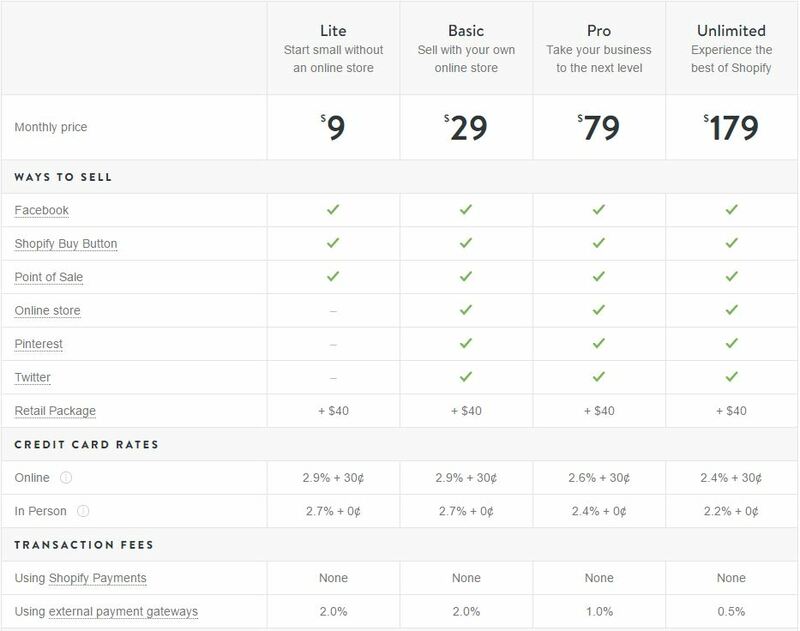 Credit card fees are just the way of the game, however Shopify decreases them slightly as your price plan goes up. Want to learn more? Check out their pricing page. Here’s a breakdown of the fees you could typically expect from each eCommerce site. *This does not include Real Estate, Motors, Select Business, Stores, and Classifieds. Now, we wouldn’t call ourselves an eCommerce site by any stretch, but if you’re looking for a way to sell your products or services and bill clients directly then we might be just what you’re looking for. Bill Flight gives you the flexibility to offer services that go beyond just selling products online. Let’s say this experience with Grandma’s attic has led you to organizing your own estate sale business; Bill Flight could be right up your alley for a way to connect your bank account with anyone using your services. Better yet, Bill Flight allows you to accept credit card payments through Stripe, so it’s easy on you and your clients. Does Bill Flight sound right for you?